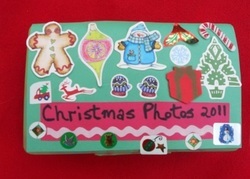 Year three Christmas activities help your child have a happy holiday. Make international Christmas cookies, create a family holiday picture album, create tiny elfs, and create string trees with these year three Christmas activities. Our collection of year three Christmas activities are designed to help your seven- or eight-year-old celebrate the holiday while exercising academic skills and learning. 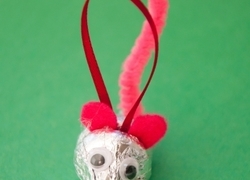 Have a Merry Christmas with these year three Christmas activities. 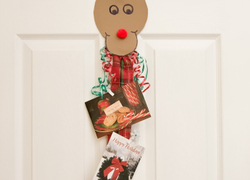 Make this cute Rudolph holiday card holder so you can keep track of them and share them with the world. 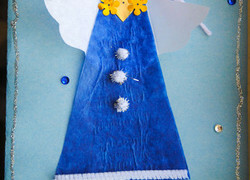 This festive Christmas card project teaches kids how to make a sparkling magic fairy godmother or angel out of glitter and sequins. This nutcracker soldier won't crack any nuts, but he will hide candies. 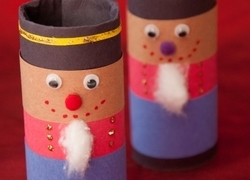 Make a nutcracker soldier with your child this Christmas and have a cracking good time. 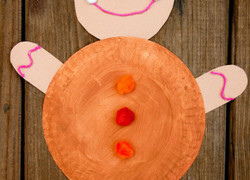 This adorable activity is a great way to share the Gingerbread Man story with your kid while she practices assemblage. Let your young chef whip up some cheer in the kitchen with these tasty and adorable chocolate trees snacks. Pin the Nose on Rudolph! 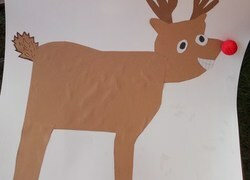 Pin the nose on Rudolph with this festive Christmas game. 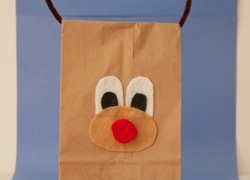 Play Pin the Nose on Rudolph with your friends and family this holiday season. Cookie, snow globe or puzzle? 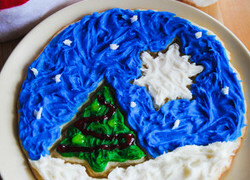 This holiday cookie is all three! 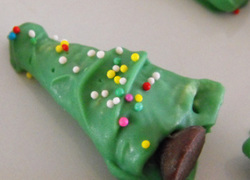 Celebrate the holidays with this puzzle cookie, a crafty twist on a delicious dessert. 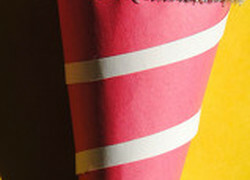 This candy cane holder craft helps your little one make a spot for safekeeping sweet treats. 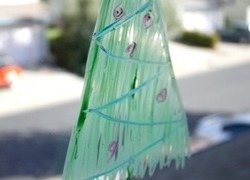 Make a candy cane holder with your child this holiday season. 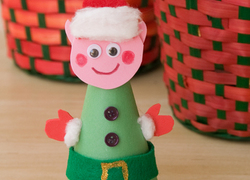 Santa needs all the helpers he can get, so why not create your very own holiday elf to watch over your presents. 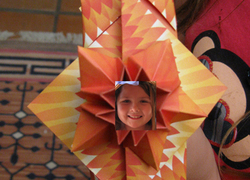 Oragami Christmas ornaments make a beautiful addition to your family's tree. 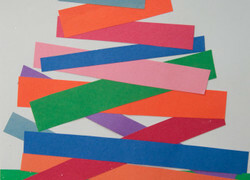 Make origami Christmas ornaments out of old wrapping paper this holiday season. Write a letter to Santa and bring back the lost art of letter writing. Learn how to write a carefully crafted wishlist using proper letter form. 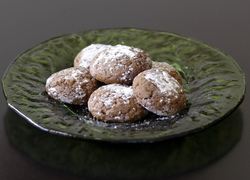 Pfeffernusse are spicy and sweet Christmas cookies from Germany. Make a batch of traditional pfeffernusse this holiday season. Holiday thank you cards show friends and family that you appreciate them. 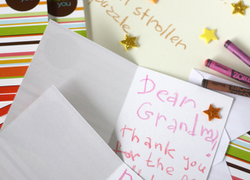 Make a batch of holiday thank you cards with your child this winter. This family photo calendar can be made by your second grader. 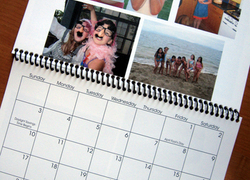 Make a family photo calendar with your child to celebrate another year together. 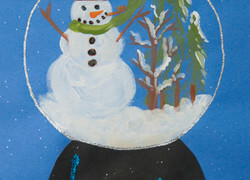 Let the world be your canvas by transforming an ordinary household window into a snowy holiday scene. 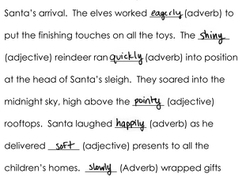 Here is a fun holiday exercise to reinforce your grade-schooler's understanding of adjectives from adverbs while she's away on winter break! Peppermint creams capture the minty taste of the holiday season. 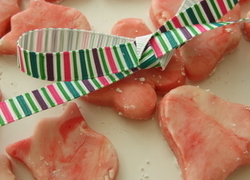 Make peppermint creams with your second grader for a sweet treat or homemade holiday gift.